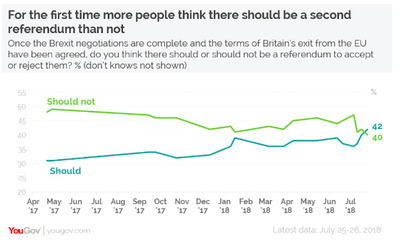 45% of people support a People’s Vote on the final deal, while 34% do not, according to a YouGov poll of over 10,000 people. LONDON – A comprehensive new poll has found support for a referendum on the final Brexit deal has surged amid growing concern over the United Kingdom crashing out of the European Union without a deal. 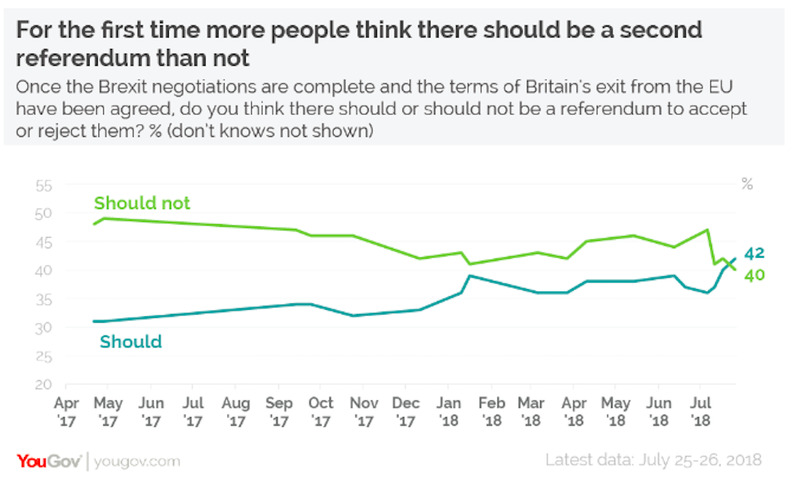 45% of people now believe there should be a referendum on the final Brexit deal, or what campaigners call a People’s Vote, while just 34% do not, according to findings of a YouGov poll published on Friday. 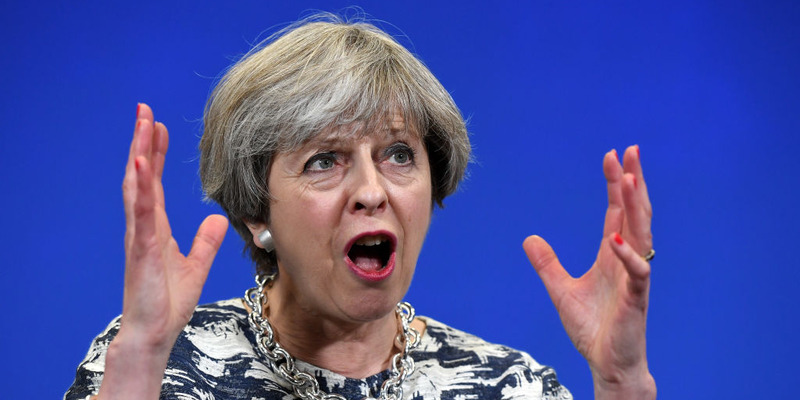 This latest poll – one of the biggest surveys of public opinion since the 2016 referendum – comes as Prime Minister May and UK negotiators prepare to resume Brexit negotiations with their EU counterparts later this month. Reacting to the YouGov findings, Chuka Umunna, Labour MP and leading supporter of the People’s Vote campaign, said: “Whether people voted leave or remain two years ago, nobody voted for this chaotic Brexit that will damage our living standards and public services which is being thrust on the country by politicians in Westminster. The survey also found that a clear majority of Labour voters want a referendum on the final Brexit deal as leader Jeremy Corbyn comes under increasing pressure to soften his Brexit position. 63% of respondents who support Labour want a People’s Vote on the final deal, while just 18% do not. “The Labour Party must now do what its members and supporters and voters are crying out for: put clear red water between the Opposition and the Government, and provide leadership to the country by backing the People’s Vote campaign,” Umunna said.